I have vitamin d deficiency and was having unrealistic anxiety attacks. My level was 20. My doctor told me to take 5,000 IU per day and have been doing so for 3 weeks now. I am feeling about 40% better and my anxiety has reduced quite a bit but still do get anxious occasionally as I'm having a emotional roller coaster ride. Would could be causing this? This happens right after I take the supplement 20 minutes after lunch. 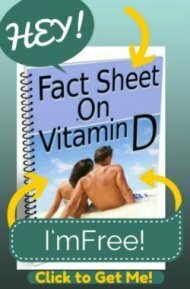 Please read my page on Vitamin D Side Effects where it already answers that question. Thanks... So how much magnesium can I take so that it's safe? I just met my doctor today and is doing a test on magnesium, zinc etc... I would like to still try out magnesium and see if it helps reduce the side effects.. Just wondering what is the recommended dosage? I'm 29 year old and male..
You can read my page on Magnesium Dosage to answer that question. And be sure that you read the page on Magnesium Levels to see why you shouldn't pay any attention to the level that your doctor does- unless it's HIGH of course. But normal and low levels should just be ignored. Identified that your problems occur with high carb meals and don't happen or are relieved by high protein meals. 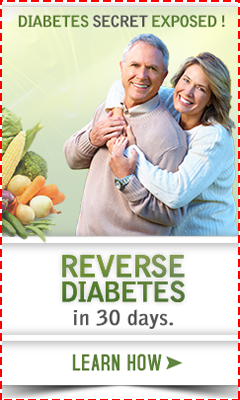 Hypoglycemia is caused by sugar in your bloodstream spiking and then falling below normal. Protein and fats slow down the release of sugar into the bloodstream. So, STOP EATING HIGH CARB MEALS LIKE PIZZA AND PASTA!!!! And consistently eat meals with high quality proteins and fats while making sure that you get snacks in between. Problem solved. You don't need any 'advice' or information, you need to listen to your own body. I want to do some tests for this, is there anything I can try at home? What should I ask my doctor? If you know that you have hypoglycemia, then why will spending a bunch of money on testing help you? What will you decide to do if you DON'T test positive for hypoglycemia- you'll have to avoid those things that cause you to have problems- namely high carb meals. What will you decide if you DO test positive, you'll have to avoid foods that cause your symptoms. Why don't you trust your body and stop eating high carb (nutritionally empty) foods instead of spending thousands of dollars on testing that will do nothing for you? I had my D level checked a month ago and it was 9!! which was the middle of summer. Anyway I started taking 5000 iu vitamin D a day for about 2 weeks and didn't suppliment with magnesium (because I didn't know at the time to do so). I am on attenolol and clonazepam for anxiety/BP, but I started getting Anxiety from Vitamin D, slight headachs,and palpitations so I stopped cause it scared me. a couple weeks and only take magnesium then try again? I'm just worried since i'm so low in D right now. Or should I take the clonazepam to counteract the anxiey or is that bad for my heart with low magnesium?